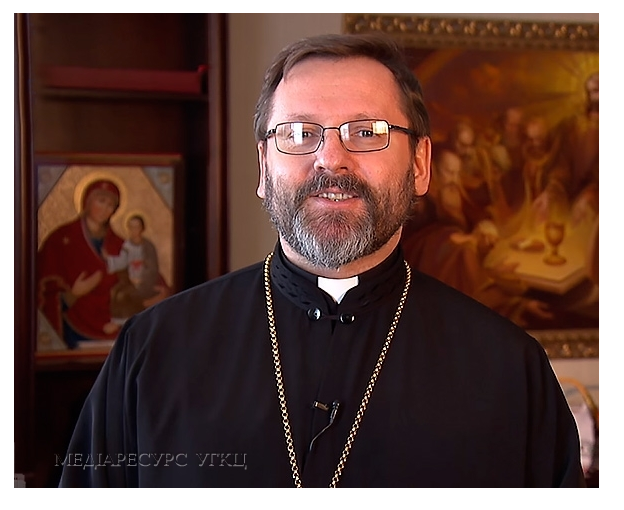 The Father and Head of the Ukrainian Catholic Church, His Beatitude Sviatoslav, issued a message to the people of Ukraine and to all Ukrainians throughout the world on August 24th – the 26th anniversary of Ukraine’s declaration of independence. Throughout the centuries, the people of Ukraine have not only developed as a nation, but have declared their independence and sovereignty. However, in our generation, after the horrific years of Russian Soviet oppression, Ukraine declared its independence on 24 August 1991. Since that that date, there have been joyful and tragic experiences. At times the people have faced unbelievable challenges as the country strives to hold on to its sovereignty while at the same time build, develop and refine its nationhood. The country has undergone two major revolutions and since 2014 it has been under siege by an old enemy - Russia that refuses to accept the Ukrainian people as an independent nation with their own unique history and culture. What is worse, is that Russia has chosen to violate Ukraine sovereignty by annexing the country’s Crimean peninsula and has waged a war in the eastern provinces that to date has cost over 10,000 lives, some 24,000 wounded and 1.7 million internal refugees. Naturally, the message of the Head of the Church concentrated on faith and trust in the Lord and His holy Will….